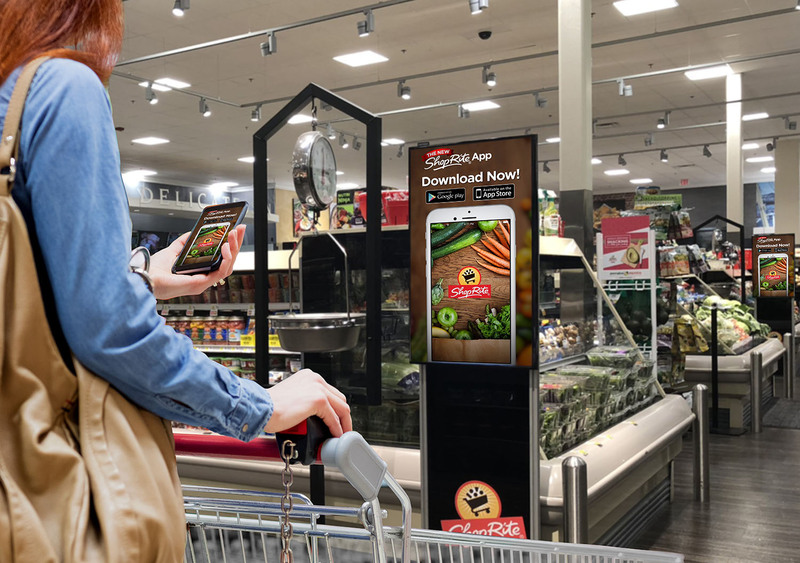 Our Market Vision @ Key Departments is a series of HD monitors placed strategically in the path of shoppers as they visit the most popular areas of the supermarket such us bakery, deli, produce & seafood. Many of our video kiosks offer shoppers menus, flyers & ticket dispensers to inspire consumer interaction. Your ad is GUARANTEED to be seen by shoppers. Your ad will be seen 2-3 times more often than traditional advertising media like newspapers and pennysavers. Your ad will be seen by the people most likely to frequent your business... since you get to pick the store.